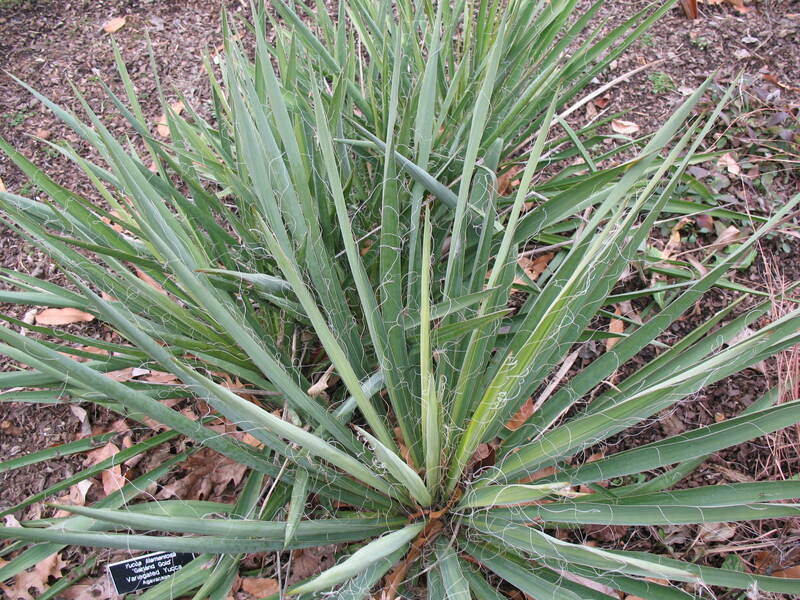 Comments: This yucca forms a low, tight rosette of green and yellow variegated foliage. A special feature is the reddish-yellow color during the winter months. In the more northern part of its range the color can be more intense. Provide full sunlight and a very well drained soil for all yuccas. This selection is often used in raised planters and other places for accent from a plant that is quite different in form and texture from many of the other evergreens.